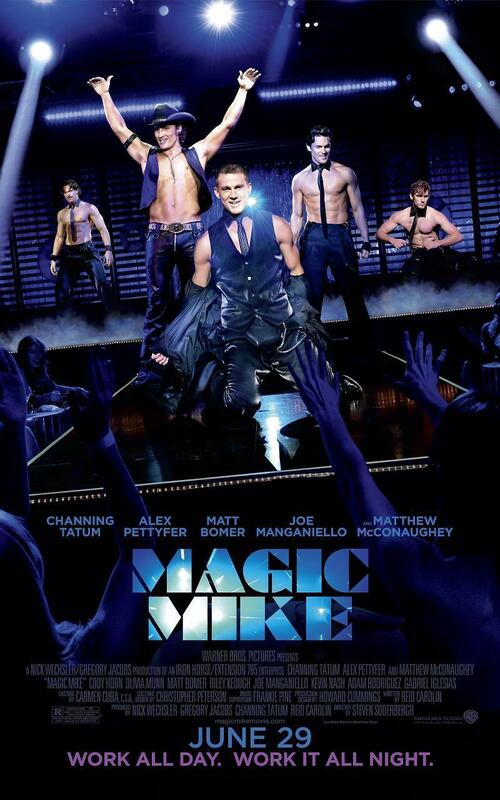 Magic Mike DVD and Blu-ray release date was set for October 23, 2012. A male stripper named Mike is barely making ends meet while working a series of odd jobs, but has plans becoming a business mogul. Those plans become more realistic when he meets an attractive 19-year old named Adam and convinces him to start stripping with him. The plan works at first, but Adam begins to caught up in the fast-paced lifestyle of stripping and becomes addicted to drugs. When their club owner decides he may move his club to Miami, the two men realize their opportunity for cash may be running out, and decide to start selling drugs as well. When Adam loses $10,000 worth of drugs during a fight, Mike must bail him, draining his life savings, but also showing that this life isn't worth the trouble. Mike quits the stripping business to go live with a female friend.